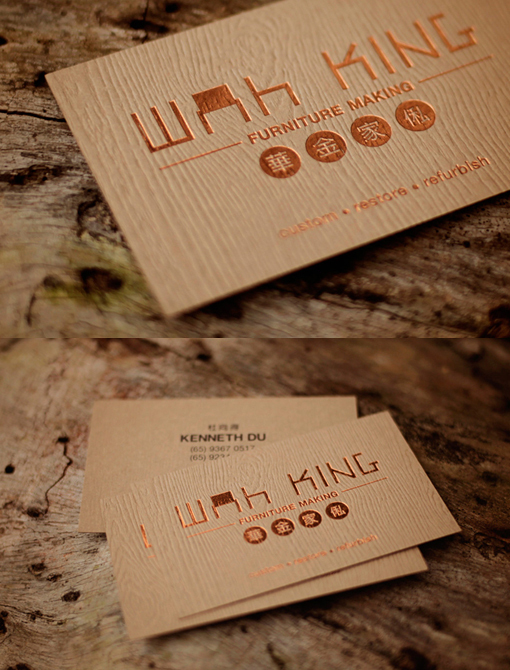 Wah King handcrafts furniture using traditional methods handed down from generation to generation, housing clean lines and angular forms. They customize, restore and refurbish furniture with practices steeped in history and tradition. The business card design poses sleek brass on textured teak surfaces—a signature and relevancy to furniture making—is stamped upon the card as a mark of quality, accentuating confidence and strength built upon their rich heritage.